Are more than 90 percent of patents challenged at the PTAB defective? Only 4 percent of all PTAB petitions for review proceedings end with a final written decision in which all claims are upheld as patentable. The statistics published by the U.S. Patent and Trademark Office about the activities of the Patent Trial and Appeal Board (PTAB) paint a misleading picture, which is used to justify the agency’s budget requests but does a poor job of adequately portraying the effects of post-grant review proceedings on intellectual property owners. For example, PTAB statistics published last April by the USPTO indicated that, while petitioners seeking inter partes review (IPR) proceedings at PTAB challenged slightly more than 99,000 claims, only 10,175 claims were found unpatentable by PTAB judges in a final written decision. However, a recent article on this site pointed out issues in how gang tackling of patents distorts the reality behind those statistics from the perspective of the patent owner. If you use the USPTO’s statistics as reported above, it looks like only slightly more than 10 percent of challenged claims are invalidated by PTAB, which is simply not true. Multiple petitioners will often gang up to challenge a single claim, which is why a patent-owning entity like Zond can wind up losing every one of the 371 patent claims it owned while the PTAB can claim that the institution rate for IPR challenges on Zond’s patents was 88.6 percent. If Zond experienced only an 88.6 institution rate how did they lose all 371 of the patent claims they owned? Obviously, the statistics provided by the Patent Office are wrong. Perhaps, instead of using the perspective employed by the USPTO on the percentage of claims invalidated at PTAB, we should be talking about how many patents contain errors upon review by the PTAB. Of course, the reason the Patent Office prefers not to use this metric is because it looks like the percentage of patents that have defective claims exceeds 90 percent, which means means the Patent Office has a problem with an overactive PTAB, grossly inadequate patent examination, or both. Using the legal data analytic tools available through Lex Machina, we’re able to see a different perspective on PTAB data based on the outcomes of trial resolutions. Overall, across nearly 7,000 PTAB petitions, the overwhelming majority of which are IPRs, only half reach the institution stage. Again, that’s not to say that only half of challenged claims have review proceedings instituted as many of the petitions which don’t reach institution challenge the same claims as the instituted petitions. Given PTAB rules on consolidating multiple cases challenging claims from a single patent, it could be safely assumed that there’s a 1:1 ratio of trials to patents after institution of a trial at PTAB. Also, it needs to be pointed out that, if 50 percent of PTAB petitions are instituted, only 17 percent are denied. Many petitioners continue to challenge the same patent despite such denials of institution (as in the case of Zond), so it’s likely that many of those claims eventually have a petition instituted. 14 percent of petitions are still open pre-institution and 13 percent reached settlements in which a patent owner almost certainly gave up claims or otherwise agreed to end the case on unfavorable terms. Only 4 percent of all PTAB petitions for review proceedings end with a final written decision in which all claims are upheld as patentable. That’s right, only 4 percent of all PTAB petitions end with a final written decision in which all claims are upheld as patentable! A few other data-based perspectives exist with a narrower focus on petitions that have lead to final written decisions issued from PTAB administrative patent judges (APJs). Of the 1,556 petitions for patent review proceedings at the PTAB that have reached final written decisions, only 16 percent of those final written decisions left all claims upheld. Of the remaining 84 percent of cases, a full 69 percent (1,076 petitions) have led to findings of all claims unpatentable; with 15 percent of final written decisions a mixture of claim findings in which at least some claims have been invalidated. Given that different petitions can challenge different claims from the same patent, these statistics suggest that less than 16 percent of challenged patents reaching final written decisions may be walking away unscathed. The numbers move even more significantly tilted when adding in both pre- and post-institution settlements; again, many (if not all) of these settlements result in outcomes unfavorable to the patent owner. When looking at these numbers, only 8 percent of petitions reach a final written decision of all claims upheld. There’s no data on PTAB settlements which allows us to definitively say this, but it could be the case that more than 90 percent of patents challenged at PTAB meet some sort of tragic fate which involves the invalidation or amendment of at least some of its claims. Lex Machina data scientist Brian Howard did note that there are a few reasons why the numbers for PTAB trials might naturally reach these conclusions. First, the role of the institution decision is such that APJs have decided that a petitioner has already proven that their invalidity challenge has merit. “If judges are doing a really good job on institution, one should expect to see that most of the decisions instituted reach a fairly favorable petitioner outcome,” Howard said. “Institution decisions seem to be the gatekeepers.” As well, Howard noted that, from a petitioner’s standpoint, the filing of serial petitions may be less a function of ganging up on a patent owner and more a strategic breaking up of material in a way that some entities do when filing for reexaminations at the USPTO. Howard also cited information from a soon-to-be-released Lex Machina report on PTAB statistics indicates that the top 55 or so patent owners targeted by PTAB challenges accounts for 20 percent of the total number of petitions filed, and Zond received the most challenges but only accounts for 1 to 2 percent of the total. And yet, there are reasons to think that the statistics we’ve pulled from Lex Machina suggests major issues with PTAB activity. At least 84 percent of patents reaching a final written decision in a PTAB validity challenge are adjudicated to have at least one invalid claim (usually many more than one claim), with 69 percent having all claims invalid. Add settlements, which are virtually certain to be unfavorable to patent owners (especially post-institution, when the petitioner has much more leverage), and at least 92 percent of patents challenged are defective. Given that these are also patents which have been pre-vetted by owners for licensing and enforcement purposes, that suggests that either PTAB APJs are being too aggressive in invalidating patents or that the examiners are producing incredibly poor quality patents through extremely poor quality patent prosecution. If 92 percent of these commercially valuable, infringed and pre-vetted patents are failing when challenged, there is a serious problem somewhere along the line. We know that an overactive PTAB invalidates patents at a greater rate than in district courts, and such a high defect rate suggests that improvements to examination quality are sorely needed. But oddly the Patent Office praises the PTAB but never questions patent examiner quality. Why the disconnect? These patents with defects are are considered to be incredibly valuable patents and if those are defective at a rate of 92 percent what does that say about the 98+ percent of patents that issue but aren’t valuable enough to assert and challenge? As former Chief Judge Paul Michel noted at the International IP Commercialization Council event in DC on May 8th, it’s not necessarily that PTAB is hostile to patents but that the processes of that tribunal are geared towards high rates of invalidation, which doesn’t square with results achieved in federal court. There are currently 85 Comments comments. Are we supposed to be shocked by that number? It seems to me that a very small number of cases that end with no claims canceled is an indicator that the process is functioning well. If (for example) ~20% of IPR final written decisions found all claims patentable, that would imply that the PTAB is badly wasting everyone’s time by instituting on petitions with weak arguments for unpatentability. If the institution process is done well, then one should *expect* to have very few final written decisions that find all challenged claims patentable. Also, it seems to me that there is a second layer of selection bias that we need to consider when assessing the PTAB’s status as a (so-called) “death squad”: how many infringers *contemplate* filing a petition, and then search the art and find that there really is no basis on which to make a solid anticipation/obviousness argument. That is to say, the patents that get petitioned are enriched for claims that are *plausibly* susceptible to invalidation. The fact that such a miniscule fraction of granted claims ever get challenged in IPR/PGR/CBM reflects, at least in part, the result of a *high* quality of examination. Where the examiner has done a thorough job at the front end, the IPR petition never gets filed because the would-be petitioner realizes that it would just be a waste of time and resources. If competent (and overly cautious) solicitors were infallible when choosing to file a petition, and if competent panels were infallible (and overly cautious) when choosing to institute, one would expect nearly 100% of patents emerging from the process would have at least one claim (if not all) invalidated. Statistically speaking, the actual percentage of the invalidated claims in written decisions by the PTAB *could* completely be accounted for by the diligence/competence/caution of those selecting which cases proceed through the process. This does not mean that there might be problems, or that other evidence of those problems exist. These statistics alone do not amount to a showing of such a problem. Not sure how anyone could say that with a straight face. Obviously, these statistics do show a very significant and severe problem. If these most valuable patents are defective at this rate then the other 98+% of patents that are not as valuable must be completely worthless. Anyone who objectively looks at these statistics should be alarmed. The actual statistics are MUCH worse than the two-thirds number that most use when discussing the PTAB kill rate. Greg/Anon: I have to disagree with the the supposition that defense counsels act judiciously when filing petitions for inter partes review to only go after vulnerable claims. It’s been my experience that regardless of the potential strength or weakness of the challenged claims, a petition will be filed. And filed again and again (either by the original filer or a co-defendant) until the targeted claim has been killed. My memory is the the CEO of Uniloc had penned an article last year lambasting the PTAB for invalidating claims in a Uniloc patent that had previously survived multiple ex parte reexaminations (and, I believe, one or more inter partes reviews). I understand (and agree with some qualification) your point that raw invalidation numbers do not necessarily tell the whole story. However, it’s difficult to accept that a 90+% invalidation rate is largely due to careful targeting of vulnerable claims by defense counsel. I am much obliged to you for assembling the statistics in this article, but like anon2 I am having a hard time following the inference by which we move from the statistics themselves to the conclusion that there is a problem. According to the numbers in the first infographic in the article (very useful, very easy to follow, I salute the person who assembled it for making it so intuitively intelligible), >50% of patents that are part of a petition challenge come through the process totally unscathed. 4 of those 50% come in the form of a final written decision upholding validity. The rest come through as a result of the petition never being instituted in the first place, or cases dropped post institution without claims being cancelled. If a rate of >50% never seeing a claim cancelled is problematic, what number would strike you as unproblematic? If 4% of final written decisions upholding all challenged claims is too low, what number would strike you as indicative of a well functioning system? Greg, no infringer turns down a virtually free ($5K) shot at invalidating a patent because of weak arguments. Any decent attorney can and will manufacture an obviousness challenge. Any patent worth $10M+ is going to be challenged. 70% will be instituted because the 3 judge panel following the rules must agree with the hired expert’s hindsight combinations. Your model of the USPTO quality/recall procedures does not correspond with logic or reality. You might want to look at infographic #1 above. My mistake. It is 75%. 3,519 instituted vs. 1,1160 denied. $5K is the portion of the fee that is kept by the USPTO. The balance is refunded to the petitioner. Not sure how you come up with the figure that more than 50% of patents come through unscathed. That is simply false. The first infographic you mention shows that 17% are not instituted and another 6% procedurally dismissed. Of course, don’t forget that none of those challenges result in any estoppel and frequently result in subsequent petitions by multiple challengers. So it is simply false to say that more than 50% of patents survive unscathed. Despite the fact that the PTAB is statutorily required to issue a final written decision for any claim that is challenged they refuse to do that, which is why only 4% of patents have all claims confirmed as valid in a final written decision. The stats are what the stats are. Over 90% of patents are defective (as we explain above). The stats are clear that in 69% of final written decisions all claims are lost and in 15% at least some (usually most) claims are lost). Add in settlements that are always going to be unfavorable and disclaimers and over 90% of patents are defective. No way around that statistic. That must mean either that the PTAB is over aggressive at invalidity or patent examination quality is absolutely terrible. So to those who don’t think these statistics show a problem, I recommend you take your head out of the sand and open your eyes. Notice what is really happening with serial challenges allowed by a complete failure of estoppel to nearly ever attach. @1 and 8: Your entire argument rests on saying that only the best of the best arguments are made, so it makes sense that the invalidity rate is so high. Absurd. The statics show that is not true. And, just from general knowledge of law and fact finders–anyone–knows that something turning out the same way 96% of the time indicates something is very wrong. Infographic #1 above shows only a 50% institution rate. Meanwhile, the $5K figure is meaningless because, as noted above, it discounts search costs, attorney fees, and hired experts. Those folks do not refund a dime if the petition is not instituted. From the infographic. At the bottom it shows complete victories for the petitioner in red, complete victories for the patentee in blue, and partial victories for each side in green. The number by the blue dot at the bottom is 50%, although if you add up all of the various streams it comes out to just a bit above 50%, so I took that 50% to be a rounded total. Am I misreading the infographic? Oops – wrong again. 75% institution rate is based on petitions. Since one third of patents are challenged multiple times, the “defect” rate of patents is well over 90%. Only a government agency would tout a recall rate of 90% as an effective quality system. Particularly an agency whose one and only charter is to issue patents to protect inventions. You are simply wrong. The first graphic does NOT show a 50% institution rate. Sorry. You seem to be assuming that all the petitions that are open, joined with other petitions and cases that are ongoing will result in decisions favorable to the patent owner, which is ridiculous. You also seem to be claiming that the disclaimers and settlements prior to institution and the disclaimers and settlements post institution are favorable to the patent owner, which is ridiculous. It seems you are going out of your way to misinterpret what the statistics show. You are certainly entitled to misrepresent, just don’t expect to get away with it here. Greg, yes you are misreading the graphic. I will repost the numbers since I had a typo the first time. There have been 4,679 institution decisions. 3,519 were decided to institute. That is a 75% institution rate. Simple. With all due respect, there is some really problematic empirical analysis here, both in the article and in Gene’s response in the comments. In both cases, there is a serious failure to account for very basic selection effects. The set of patents that get challenged in PTAB is not randomly selected from the set of all granted patents. Rather, we should expect that patents challenged in PTAB come from a very special (and non-representative) subset of granted patents: those that cover commercially valuable tech, but which are relatively likely to be invalid. You cannot focus on PTAB’s treatment of this special subset and assume that all other patents would receive the same treatment. This totally undermines the author’s inference that the data “suggests that either PTAB APJs are being too aggressive in invalidating patents or that the examiners are producing incredibly poor quality patents through extremely poor quality patent prosecution.” This claim is not at all supported by the numbers. It remains entirely possible that examination produces a reasonably small number of serious errors, and that PTAB petitions are targeting this small subset. The numbers are totally consistent with this third possibility. Similarly, Gene writes that “If these most valuable patents are defective at this rate then the other 98+% of patents that are not as valuable must be completely worthless.” Again, this is an example of implicitly assuming that the patents challenged in PTAB are a representative subset of the set of all granted patents. There is zero reason to believe that the broader universe of granted patents would be invalidated at the same rate as those actually being challenged; the data available don’t shed any light on that. None of my arguments here suggest that there are no problems with PTAB, mind you. The point is just that the conclusions drawn in the article are based on fallacious empirical inferences, which is not the same as saying that the conclusions are definitively wrong. My question is, of that 4%, what is the percentage of those claims owned by Apple, Google, et. al.? I assure you, you will not find a more pro-patent or pro-property laissez-faire capitalist than myself, so it is with a straight face I criticize the use of the statistics alone to draw the particular conclusions. You are presupposing in particular, of all patents, those tried at the PTAB are the “most valuable”. As such you are introducing “evidence” over and above what the statistics say as such. Your argument that the statistics speak for themselves is undermined by your assertion (which granted could be true) which you logically rely on as evidence. One could equally speculate the group of patents constitute “the least valid group of patents having the broadest claims covering the biggest markets, which would be the most potentially lucrative patents if the broad claims were valid, or if mistakenly upheld” Of course I have no evidence for this other than it’s possible and it makes sense… Such a characterization of the patents is not to be gleaned from the statistics alone (again, absent evidence). I’m not saying the cause is not proper, nor that there are no problems, I only point out the need for more evidence to convincingly draw the conclusions. Agreed! Your analysis is very seriously flawed because you fail to take into account basic selection effects. The commercially valuable and infringed patents that have been pre-vetted by the owners for enforcement are among the most thoroughly reviewed and tested patents granted. In many cases these patents have been reexamined multiple times and each time found to contain valid claims. In many cases they have been litigated and have had claims confirmed valid. These patents are highly valuable, thoroughly reviewed and selected for enforcement because they are strong and infringed. These patents shouldn’t be defective at the rate the PTAB is killing them. If these pre-vetted, thoroughly reviewed patents are defective at the rate they are (as the statistics show) what must be the case for all those other patents? Obviously the Patent Office has a horrific problem. Either the PTAB is extraordinarily overly aggressive or the patent examination quality is atrocious. You have added a lot of new premises to the argument, namely that: (1) the challenged patents are more thoroughly reviewed and tested; (2) they tend to have been reexamined multiple times; (3) many have been upheld as valid in district court, etc. These are all positive signals of validity, so if we assume this additional information is true, then the conjunction of these new numbers with those cited in the article could indeed support the inference that PTAB is invalidating too many patents. If you have data (as opposed to some anecdotes) supporting these new assertions, then I suggest they be included in the post. Because, as I noted, the PTAB numbers discussed in the article do not support the author’s conclusions. If you don’t have data for these new assertions, then you still don’t have a sound empirical argument. Are we looking at the same infographic? When I click on the first infographic above, I see a time line with three time points: “petition”; “institution decision”; and “final decision.” If you set your eyes on the middle one—“institution decision”—and read down, you come to a thick red line, with text immediately below that reads “Instituted 3,519 50%.” I am not trying to misrepresent anything, but if the infographic says that only 50% are instituted, then where am I going wrong when I conclude that the institution rate is only 50%? I am sincerely confused here. In other words, I am concluding that 50% of patents come through with no canceled claims because the graphic says that the patent owner “wins” 50% of the time, and “wins” are explicitly distinguished from “partials” (circumstances where the patent owner retains some claims but loses others). I am not making any leaps, assumptions, or inferences here to reach that 50% figure. I am just parroting what the infographic says at the bottom. Am I misreading it in some way? The data in the article do not show anything happening “96% of the time.” 4% of the time a patent goes all the way to final written decision and all claims are found patentable. The other 96% is a mixed bag. Some of that is final written decisions with all claims canceled. Some of it is final written decision with some but not all claims canceled. Some of it is a case finishing with a final written decision. Some of it is the PTAB rejecting the petition because the arguments presented are too poor to merit institution. In other words, there is not one single result that occurs 4% of the time and another single result that occurs 96% of the time. Not true. You should really read the article. What I wrote in the comments is actually in the article. It also has the virtue of being true. I do appreciate you commenting, but you are wrong. It is simply false to say, as you continue to do, that 50% of patents challenged emerge unscathed. No matter how many times you assert that nonsense it will never be true. Thankfully, the infographic that you claim supports you is there for everyone to see. The facts are what they are no matter how hard you try and misrepresent them. One final thought on Greg’s ridiculous comment that 50% of patents emerge unscathed. What he appears to be doing is considering settlements prior to institution and settlements post institution as a win for the patent owner. He also considers denials a win for the patent owner. Of course, settlements are unfavorable to the patent owner, as are disclaimers. Denials of institution should be a win for the patent owner, but since they do not come with estoppel what we see is serial challenges filed. As we’ve explained many times, there are cases where the first four petitions have been denied and the fifth nearly identical petition has been granted. The PTO considers that 4 wins for the patent owner and only 1 loss at the institution stage, which is ridiculous since the patent owner had to fight 5 petitions and still had institution granted. It is admirable that those who support the PTAB are trying so desperately to show that these statistics support a fair and balanced PTAB. Unfortunately for them the statistics do not support such a ridiculous conclusion and are what they are — they are what we explained in the article. Quite possibly. I do not pretend to infallibility. I am hoping, however, that someone can explain to me where I have gone wrong here. The infographic is—as you say—“there for everyone to see,” and it says at the bottom “Patent Owner Win… 50%.” I had understood this to mean that 50% of petitions end up with no claims canceled. I take it that you mean to say that this is not what “Patent Owner Win… 50%” is meant to convey. I would be obliged, then, if someone could explain to me what is intended when the infographic asserts that the Patent Owner “win[s]” 50% of the time. “In many cases these patents have been reexamined multiple times and each time found to contain valid claims. In many cases they have been litigated and have had claims confirmed valid. These patents are highly valuable, thoroughly reviewed and selected for enforcement because they are strong and infringed. These patents shouldn’t be defective at the rate the PTAB is killing them. THESE are the kinds of patents for which statistics should be gathered… and an analysis performed! What percentage of patents previously litigated and deemed valid have been invalidated at the PTAB? What percentage of patents previously reexamined have been invalidated at the PTAB? I’ve explained over and over why you are wrong. The article lays it all out. You are considering settlements as a win for the patent owner when settlements are NOT a win for the patent owner. The patent owner settles under duress and under terms that are favorable to the challenger. That is how settlements of IPRs work. As for denials, you also assume that all of those denials represent wins for the patent owner, which again is false. Patent owners are subject to serial challenges because there is no estoppel whatsoever when there is a decision not to institute because the PTAB refuses to issue a final decision on the challenged claims as the statute requires. We know that there are cases when multiple petitions are filed until one is finally granted. Look at Finjan’s cases, for example. Patent #s 6502135, 7418504, 7490151, and 7921211. All utilized in litigation vs. Apple, Cisco, and others. All vetted for licensing by Wilson Sonsini. All vetted for infringement cases (at a rate very favorable to patent owner) by McKool Smith. All found not invalid by Judge Leonard Davis and affirmed not invalid by a CAFC panel including Prost and Chen. Patent Investor @ 30. – well done. For those with real skin in the game, this article, and the environment are self evident. May the sweeping tide of change come quickly; in the same fashion as Michelle Lee’s departure. This is the same pattern I have found. It comes down to the fact that the CC is gone and 103 is a judgement call that is incredibly loose. No more TSM. Basically, as long as they can roll the dice enough times they are going to win. Its like that scene from Casablanca. Captain Renault: I’m shocked, shocked to find that the $600 search I paid for cannot stand up to a $10,000 search! Sorry, I failed to mention that the same “prior art” that made Apple’s expert witness look stupid at trial was used to invalidate these patents at the PTAB. If there was ever a poster child for BRI is not like Phillips, these patents are it. You’d think they weren’t even reading the same specification and prosecution history. The sample rate is the same as the population. It seems fair that this is the default presumption. The sample is biased for a lower defect rate than the population. The theory is that low value patents are not included in the sample, because they are not a threat worth the expense of challenging. The sample is biased for a higher defect rate than the population. The theory is that no one challenges high quality patents. First, it is not the authors’ burden to disprove all the alternate hypotheses. Occam’s Razor applies. The onus is on the critic to bring the data for his alternate theory. The data says of 4,679 decisions, 3,519 were decided to institute. That is a 75% institution rate of petitions (not patents). Secondly, this quibbling over the precise “defect” rate is distracting from the point. The rate should be 3.4 parts per million if the PTO were operating in 6 sigma control. We’d settle for 10% – provided the next Director brings a plan to get to to 1% in a hurry. The current system is on par with the quality programs of Chinese factories circa 1960. Will it also take us two generations to rebuild? @30: at least for ‘135, most, if not all, of the terminated IPR’s were because the patentee had previously filed complaints in 2007 or 2010, and so Apple and Microsoft were time-barred from filing an IPR. These terminations had nothing to do with the validity of the patent in view of any art. It was a certainly not a case of repeatedly trying IPR’s until one combination of prior art references stuck, which is what Gene appears to be describing. I wouldnt be surprised if this is the case for all the other related patents you listed. . So 99,000 people followed by 10,175 dead bodies? Or 99,000 bullets followed by 10,175 dead bodies? What is interesting and useful to me would be to know the number of claims for which institution of an IPR has been requested, the number of claims for which institution has been granted, and the number of claims ultimately cancelled. Late to the game here. But the “which are relatively likely to be invalid” is incorrect. From my experience talking with multiple litigators over the past couple of years, it is nearly certain regardless of the strength of the patents that defendants are going to institute an IPR. Every one I talk to assumes that the patents are going to be IPR’d. Why? The answer is threefold: (1) the claims get subjected to BRI, which enlarges the scope of the possible prior art thereby making it easier to invalidate; (2) the burden of proof is preponderance rather than clear and convincing — again making it easier to invalidate; and (3) the Board (whether it was the PTAB or BPAI) has, for about the last 10 years, leaned (heavily) towards invalidity (or unpatentability) than validity. There is a good reason why the PTAB is considered the patent killing fields. The scales are tipped towards a finding of infringement, and the “impartial” arbitrators have their thumbs on the scales as well. I would say at least 95%. A chance of around 50% to have your claims invalidated is a crap-shoot and it has no relation to a worthwhile industrial policy or process. Invalidating claims in an IPR does not mean that the invention has no value. It only says a patent owner cannot protect the invention or benefit from it. A failure rate of up to 5% in any process (with some exceptions) may be somewhat acceptable, but still requires improvement. With anything above that failure rate a presumably controlled and regulated process is hopelessly flawed. My friend Samuel Clemens and I tend to take a dim view of statistics, especially those used too loosely. I applaud the effort, but sadly, like Le Bron, there is no “Strength in Numbers” here. Wildly entertaining article. Love it! This is like reading Breitbart for IP. The best part? The title. It says it all. It asks a question. Do they answer it? No. The thing that made me laugh the hardest is their OWN source does not agree with them. Lex Machina counts settlements as a Patent Owner success if you look at the graphics they embedded in this very same article. Now just for pure fun and to make this even more of a joy ride into a twilight zone of fake data, you take into account settlement as a complete and total loss for the patent owner because as Gene mentions it is after institution and therefore they are already screwed…if that is true….then you have to include the institution decision as part of your calculations because patents which are not instituted on (even according to them) is a success for the PO. If you are saying we are only going to look at FWD (since that is where estoppel attaches) and where a decision is finally made, then the numbers definately don’t show anything close to them. Either way it does jive with their previous article written by Paul M. http://www.ipwatchdog.com/2017/06/01/venture-capital-startups-moving-china/id=83955/ which says “the PTAB invalidates or neuters over 95% of the patents it reviews” as a fact. Certainly not a question. If neutering means institution, then you have to include the % success at ID. If it is FWD, the numbers again don’t show that. Even their own. So I am left with a belly full of joy at the backfilling going on to satisfy bad data and facts. A question which is not answered. Sources which are used which do not even agree with the statements being made in the article. Finally numbers which are not internally consistent or consistent with prior articles publishing in the same blog and stated as a fact. Are you guys serious ??? Now you are talking about some percentage points ??? How about fixing PTO examination in the first place and instituting re-exams only on NEW prior art previously undiscovered ? And restoring injunctions aka cancelling Ebay ? And not making any distinction (in applying US patent laws) between manufacturing entity (e.g. some big corp infringer perhaps mainly in China) and actual tech inventor (probly some mom and pop workshop in USA) ? Perhaps someone can explain the difference between me (a non-manufacturing NPE mom-and-pop workshop located in USA) and Apple (a non-manufacturing in USA workshop but manufacturing in China through their partners ) ??? Why are my patents inferior to the blueprints they provide to their manufacturing partners in China ??? Just testing to see if comments are working. Getting reports that some people are experiencing problems. Thanks for your comment. Too bad you didn’t understand what you read. I guess that is predictable. Someone who is so careless with the truth like yourself really can’t be expected to be honest, or understand honesty. As for your comment about settlements being favorable to the patent owner, that is perhaps the most ignorant thing I’ve ever heard you say. Now that is saying something given the breadth and scope of your ignorance in general. But again, from someone so unacquainted with the truth as you I guess ignorance and misrepresentation is to be expected. Of course, everything written here is perfectly accurate. Nevertheless, I do greatly appreciate your need to keep coming back and trying to prove me wrong. I know how you so hate the truth. Your protestations and condescending tone is always appreciated and accepted as an admission that you have nothing substantive to offer. Thanks for answering Shawn before I could (and geting myself banned from the comment section in the process). I envision Shawn hitting the “submit comment” button and looking like little Ralphie Parker turning in his book report and day dreaming of the glory to come to be brought about by his astonishing clarity and insight. LOL, as a famous politician would probably say, sad, very sad. The truth, my man, will set you free. I would never expect you to believe anything I say Gene, hence you can look at every filing in complete detail for free (with analytics) on our http://portal.uniifedpatents.com . But just to clear the humid DC air, I NEVER SAID SETTLEMENT IS FAVORABLE FOR THE PATENT OWNER, YOUR OWN GRAPHICS IN THIS ARTICLE SAY IT. You don’t even agree with your own source. In fact, truth be told, I don’t think we can know for sure, any more than a litigation settlement is a win or loss. That is why when we do analytics we never consider settlement a win or loss for either side. But including automatically any post institution settlement as an automatic loss for the patent owner (which LEX MACHINA/ LEXIS NEXIS does not agree with BTW) without including the institution decision is deceptive because you are saying any result post ID is bad (feel free to correct me here), but you don’t include the actual ID as part of your numbers. I know truth is something you are unfamiliar with. I know you don’t count settlements because, as you told me several years ago, your statistics only count what is easy to count and not what is really reflective of what is happening. The truth, however, is that settlements in IPRs are unfavorable to the patent owner. Anyone even vaguely familiar with IPRs knows settlements are unfavorable to patent owners. The fact that you are unaware of it just proves you are uninterested in the truth. As for Howard not being quoted, perhaps you should read the article. That is your problem (obviously). You comment without reading. Nothing ever changes I guess. As for me not liking you. You are correct. I don’t like you. So I guess you aren’t always wrong after all. Well Gene. I forgive you for not liking me. My heart is large enough for the both of us. I love everyone, especially you. Reading IPWatchdog is a pleasure because it entertains me and makes me laugh every time. I hope it continues for many years to come. No worries about the statements. I know it can be confusing. All these numbers and stats. Anyone can get twisted around. Have no fear. I am here to clear the air, drain the swamp, make patent analytics great again, improve patent quality, and have a ton of fun doing it. Do you ever get tired of being wrong? Failure to institute is not a win for the patent owner in a world where the PTAB refuses to follow the law and issue a final written decision confirming the validity of the claims that were not instituted (as is required by the statute). Anyone familiar with IPRs knows that challengers file serial petitions over and over again until they are finally instituted. So winning an institution that carries with it absolutely no estoppel is not a win. Nice try, but your argument ignores reality. There you go again with that condescending attitude. You really better be careful though or those clients of yours from Silicon Valley who so hate the Administration will blackball you just out of a suspicion that you might actually support the President. I never tire of you Gene. 🙂 You bring me endless joy on these warm summer nights. We have members from all over the world. Large and small. Well according to your logic then 100% of patents instituted have been determined by the PTAB to be defective since there is no finality in any situation and any result (settlement, FWD) is bad and provides no finality. I think you should change your headline. to “100% of all patents instituted” are “defective” according to the PTAB. Why stop at 92. Go all the way!!!!!! Weee!!!!! But remember, Lex says a settlement is a Patent Owner win right? So maybe, this is might Quinn logic than good data from a reputable source? Maybe Lex doesn’t agree with you…. Maybe the previous article by Paul which said 95% isn’t right huh? Because you said it is 92% now. Or maybe it should just be 100%. The nice thing here is you don’t have to beleive me Gene. You just have to look at the data. Not even your own data providers which you hand picked agree with you…. When I read his comments, and his ill-logic, he only illustrates what a complete fool he really is. It is people like him that give lawyers a bad name. Shawn you should be ashamed of yourself. Your core business is to destroy the core essence of what makes America great. You don’t seek truth, when you can’t win, you just try to confuse and obfuscate. The reality is you just embarrass yourself. You show the world how much of a fool you are. So I guess you did succeed, your foolish posts on LinkedIn only amplify to the world your stupidity. Congrats, we all can agree on one thing. You are a liar and an idiot. Oh, Shawn…you are putting on SUCH a good show for your IP pirate handlers. I’m sure you’re quite proud of the effort you’ve put into the act, fighting just SO HARD over details of the ‘trees’…. While the forest burns down. 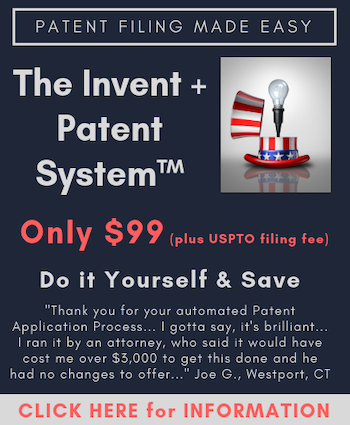 U.S. inventors DO NOT trust the patent system your masters ruined, for those of us genuine inventors not playing the billionaire infringers’ “numbers game”. The U.S. patent system was originally and in its Constitutionally stated purposes, intended to provide a bargain supporting the disclosure of private property for the opportunity of a potential ‘first mover’ advantage in industrialization and commercialization. it now operates as a farce defrauding actual inventors of their property at the behest of billionaire blatant IP pirates, many of which are charter members of the organization you work for. Since condescension, obfuscation and inappropriate opprobrium is all you have to offer here, it is difficult to perceive how anyone concerned in this field can take any of your comments written here seriously. I am left with the conclusion that you must enjoy spewing such self-serving vapid nonsense as the above for the benefit of gratifying your surprisingly insecure ego. No comment or the article pointed out that many claim were found invalid under Alice, claims that were valid when issued but since the law changed, they were necessarily held invalid. Thus your conclusion of problems with the Pto and/or PTAB is flawed. Let’s consider the concept of “selection bias.” The counterpoint to the data presented by Gene is that these patents were carefully selected as being the most vulnerable and as such, they were more likely to be invalidated. However, there is a set of data that shows that selection bias is not at work at the PTAB. Rather, it is anti-patent bias at work. The numbers I’m working with are ex parte appeals (excluding miscellaneous dispositions) at the Board. I’ve got a set of numbers that span 2000-2016. In 2000, examiners were being reversed at about a 50% rate and affirmed at only 37% (the remainder by partial affirmances/reversals). As a side/note, the percentage of partial affirmances/reversals has been a very steady 13.5% +/-1.5% over this entire time period. In 2005, the rate of reversals was still 44%. However, three years later in 2007, that number plummeted to 27%. Coincidentally, this corresponded to Dudas’s reign as head of the USPTO. I think anyone who recalls all of the anti-applicant rules they tried to promulgate during his reign would agree that Dudas was exceptionally anti-patent. When Kappos came on board, the percentage of reversals eventually rose and peaked at 34% (2011) from their low of 25% (2008). In FY2016, which is the latest full year data that I have, the rate of reversals was 29%, which is the lowest they’ve been since FY2009. There was bias selection in taking these appeals to the Board, and I don’t see half-hazard appeals going to the Board. if an appeal makes it to the Board, it should be about a coin flip. Otherwise, if one party’s position is substantially stronger, the party with the weaker position should back down. This is somewhat reflected in the numbers from 2000-2005. However, when Dudas came on board (pun intended), he flipped the Board from being an impartial arbitrator to being a tool of the Director and subject to his/her political agenda. Accordingly, the Board’s culture now reflects the political agenda of the current Director. With Dudas and Lee, the emphasis has been on “bad patents,” and accordingly, the Board finds bad patents anywhere they look. Kappos, on the other hand, had a more even-handed approach that asked examiners to properly apply the law and not just “reject, reject, reject.” The increase in reversal rates at the Board wasn’t as dramatic under Kappos since an anti-applicant culture had already been instituted at the Board (a great number of APJs were hired during Dudas’s tenure and were tainted with that anti-applicant culture from the get-go), and this anti-applicant (patent) culture was encouraged under Lee. I’ve had a good number of appeals at the Board throughout almost the entire time period of the numbers I looked at. My experience has been that my personal affirmance/reversal rates for any period of time mirrors the current rates at the Board, as a whole. I’m a heck of a lot better writing appeals today than I was 15 years ago, but my reversal rate 15 years ago was a lot better than it is today. Why? Because there is an institutional bias at the Board — it is part of their culture. 15 years ago you could expect a fair shake at the Board — today, I’m still amazed at the convoluted ways the Board finds to affirm an examiner. It is your comment that is flawed, not the article or the conclusions reached. In an inter partes review the only available challenges are based on 35 U.S.C. 102 (novelty) and 35 U.S.C. 103 (obviousness). Alice related to patent eligibility under 35 U.S.C. 101 and as such is completely irrelevant to IPR practice and procedure. So the fact that Supreme Court jurisprudence has decimated large segments of the software and biotechnology industries has absolutely nothing to do with more than 90% of patents having defects in the IPR process. You really do protest too much. I do appreciate you coming here to IPWatchdog. It is as if you are a moth drawn to the light, as if you have a need to rebut what we post. I understand that you need to challenge the truth. You can’t very well let the truth get out or your gravy train will expire and the system of fear and destruction that you thrive on will evaporate. That time is coming. I don’t, and no one who actually knows anything about IPR and the PTAB doesn’t either. Neither will anyone who actually looks at the data. Your last comment also talked about estoppel with respect to a final written decision. Funny that you would talk about that since my previous comments were about the lack of estoppel with respect to institution decisions. It is as if you are trying to misrepresent what I said. Of course, we both know that your only game is to misrepresent and obfuscate. My guess is in the echo chamber where you operate these type of low rent tactics play very well. You obviously aren’t used to debating anyone who is actually familiar with the facts, which is why you try to wax poetically in such a nauseating manner. Do you think that makes you sound smart? Truthfully, it just makes you sound ever creepy. Let’s step back for a moment from just arguments about PTO PTAB final decision statistics on IPRs. First, at least 80% of IPRs are triggered by D.C. suits, yet in less than a quarter of those are IPRs filed. Then, currently, a substantial number [maybe about 30%?] of IPR petitions are denied – the patent owner wins ab initio. Then, there are the IPRs that get settled by the two parties, or one party gives up, and there is no final decision. This is not even counting the number of IPRs lost by patent owners who were represented by attorneys who had never had any experience with any PTO inter partes trial proceedings. Do you seriously consider the cases where a patent owner achieves a denial of an IPR as a win? I know many patent owners that do not consider it a win because the challenger simply refiles another petition, and another petitioner, and another petition. So at best it is akin to a dismissal without prejudice, which is the real problem here. The statute does not envision denials of IPR as being a dismissal without prejudice that allow petitioners to engage in filing challenge after challenge until one is granted. That is, however, what happens. Unless and until the PTAB is required to confirm the validity of claims denied institution and estoppel is applied a “win” on institution is nothing more than a temporary reprieve, which in the legal world we know is not a victory at all. In the war of attrition fight that infringers fight is seems to be practically a part of their overall strategy of harassment of patent owners in an effort to make sure title to a patent never quiets. Yes, if you sue another company, they can file another IPR, even if you won the first IPR – just as every new defendant you sue can re-raise invalidity defenses even if you won the first suit. But it is unlikely one PTAB panel is going to come to an opposite result on the same asserted prior art. Also, the actual number of IPRs instituted more than once on the same claims, while it has occurred, its incidence numbers has been greatly exaggerated here and elsewhere. The PTO should track and publish those numbers. But let’s return to the debate that started this thread. Folks claiming that almost all asserted patents are hit with IPRs versus folks who claim that only patents in which better prior art was missed are attacked by IPRs. The former cannot possibly be true, on incontestanble facts – the number of D.C. patent suits per year is an uncontested fact, and the number of IPR petitions filed per year is an uncontested fact, and it is for only roughly a quarter of the number of patent suits. If the defendants in those 3/4 of all patent suits had prior art that could halt the litigation with an IPR and did not use it to file and IPR, I cannot see how they could avoid risking malpractice, since this and other articles show how vastly easier, cheaper and more effective an IPR is for contesting validity than a jury trial. What other way for a defendant to get out of most lawsuit litigation expenses so fast and cheap is there? Alice 101 motions that are in a D.C. that is receptive to promptly deciding them may be one, but they do not resolve anywhere even near in number to that 3/4 of patent suits. If there are more than even 100 D.C. suits per year decided on front-end 101 motions it would be surprising. >But it is unlikely one PTAB panel is going to come to an opposite result on the same asserted prior art. This is just nonsense. First, there is no standing requirement. Second there is no preclusion if your IPR petition is not granted so you can keep trying. Third, what happens is if a patentee tries to license or assert the patent, then they get many IPRs filed against them and the panels OFTEN do reach different conclusions. As in all you need is the one panel and you end the patent. The problems are: no standing; no CC, and 103 has been watered down so it is up to the fact finder and pretty much open ended. So, it is a crap shoot. This is not much of an answer to Gene’s point in #64. Imagine I file a petition and panel A denies it. So I re-file the petition. It is, as you say, unlikely that panel B will accept it where A denied it, but the likelihood is not 0%, more like 10%. Well, if panel B denies it then I refile it again, with the same 10% odds. If I am allowed to keep refiling it with 10% odds, eventually I am going to get a panel that institutes. That is an abuse of the system. I cannot agree with the conclusions drawn above that results in IPRs bespeak an unacceptably low quality of examination. I can definitely agree, however, that the estoppel provisions written into §315 are too weak. To my mind, each party (including those in privity with a given entity) should get one chance to make its pitch to the PTAB. If that pitch fails, well, they had their chance. Allowing for serial petition is an invitation for abuse, and contrary to the original intent that IPRs were intended to serve—to provide a faster and less expensive alternative to litigation. The toothlessness of the present estoppel provisions (both as written and as applied by the CAFC) has turned IPR into something you do in addition to litigation, which totally defeats any plausible public policy goal that IPRs were meant to serve. Will be publishing data soon. Had a good conversation today. Those saying serial challenges do not happen will have to come up with a new line shortly. Don’t forget about the IPRs that are filed using the same prior art that was considered by patent examiners, was considered by those in the Central Reexamination Unit, and was considered by district courts. Mr. MakePatentsGreatAgain calls me an idiot, liar and stupid. In the end the data speaks for itself. It is easily available and people can make their own conclusions. That is the great thing here. Clearly people are passionate about this (and many more couldn’t care less). They will use the data to create the narrative they prefer. I don’t agree with Lex in saying a settlement is a win for the Patent Owner. I also don’t agree with Gene is saying it is a loss. But in the end that is my opinion and it is up to the readers to decide. I believe making the system stronger doesn’t mean needing to permit invalid / broad patents to be asserted since I believe that actually hurts innovation. I believe improving patent quality (which is at the end of this article was alluding to in discussing how these patents are getting past examiners) is better for the entire system. In fact our APIX showed that there is a direct correlation between the liklihood of institution and allowance rates. To improve examination means spending more up front in time and cost, which probably means fewer patents, but better quality ones. Something many talk about, but few are willing to do anything about. So with that…. See everyone in Ottawa!!!! Peace out gents especially Mr. MakePatentsGreatAgain!!!! Greg, re your comment that “I cannot agree with the conclusions drawn above that results in IPRs bespeak an unacceptably low quality of examination” and Genes comment re IPRs based on the same prior art already considered in the application. The latter clearly needs actual supporting statistics, and both fly in the face of undenied reports that PTO examiners have an average of only about six hours for prior art searches per application, whereas IPRs are typically based on litigation-level costly and very thorough professional prior art searches. Vastly more thorough, and presented in detail with claim charts. As expensive as it is to prosecute a patent, an awarded patent is supposed to be ‘assumed valid’ otherwise what the hell did I pay those expensive filing fees for? The AIA now suddenly makes that ‘already expensive IP’ suddenly worthless if I cannot cannot engage in an additional expensive IPR process. Well-heeled companies can infringe with the threat of chronic and repeated IPRs if I object. Then they make me a sham offer for the IP and if I cave in, they will defend the hell out of it to others. It makes IP valuable ONLY in the hands of well-capitalised corporations. Sickening, and an outright fraud to small inventors and startups who counted on that protection in the first place. Consider me disgusted. I do not think that Gene’s conclusions about low quality examination are undermined by the observation that examiners have inadequate time and resources with which to examine pending claims. In fact, your observations and Gene’s strike me as just two ways of saying the same thing. To be clear, I do not really disagree with the assertion that U.S. examination is unacceptably poor quality. Anyone who has prosecuted both the U.S. and EP phases of a given application will be struck at how much more thorough are the EP search results compared to the U.S. results. In other words, there is plenty of evidence out there to support the assertion that U.S. examination is not good enough. The thing is, EP examination costs a lot more than U.S. examination. You get what you pay for. If we want U.S. examination to be of comparable quality to EP examination, then we need provide U.S. examiners with the time and resources that EP examiners get, and that will cost money. I am actually agnostic about whether the benefits of EP-level quality do or do not justify the costs. Meanwhile, I simply do not see that the observations above about outcomes in IPR tell us anything one way or the other about U.S. examination quality. As I have already explained, we should expect very few patents to come through IPR with all claims intact. If there really were some large fraction of IPRs that ended with all challenged claims confirmed, that would not so much prove that the examiners are only granting on high quality claims, but rather that the PTAB is instituting on too many meritless petitions. If the PTAB is doing a good job of excluding poor quality petitions, then only petitions with solid arguments for invalidity will ever be instituted, in which case the overwhelming majority of final written decisions will include one or more claims found unpatentable. The 4% figure tells us more about the solid job the PTAB is doing weeding out poor petitions than about the poor job that the examiners are doing searching the art and examining the claims. @69 Shawn Ambwani >They will use the data to create the narrative they prefer. If you aren’t a paid propagandist, then consider steeling your mind and figuring out what is going on. The data clearly says that the PTAB is a death squad. @77 “USPTO search fee: $600. This severely understates the cost difference between US & EP. When you add in the annual maintenance annuities for pending applications in Europe, the costs there are way more than just ~2x U.S. costs. As you say, one gets that for which one pays. What about issue fee, and maintenance fees and all other fees ? I have said this before and will say it again: please compare apples to apples. Comparing only search fee to search fee is NOT an apples to apples comparison. US fees are NOT based on level of effort for that task alone. To treat them as such then, is simple (but nonetheless real) mistake. Mr. DeLassus was a party to a similar conversation on that other blog and should know better. This seems a strange response. If you read my 77, you will see that I am agreeing with you. Comparing search fee to search fee is the wrong way to do the comparison. You should compare the total fee for each jurisdiction (including, in the case of the EPO, the yearly maintenance fees for pending applications). When you make that comparision, the EPO is much more expensive, and therefore it is hardly surprising that it does a much better job searching and examining. One gets that for which one pays. You appear to want to still compare apples and oranges in that you want to compare search to search based on the total to total. You are still attempting a comparison NOT on task to task, albeit with a proxy of total cost to total cost. The mere fact that you want to draw the “bumper sticker” soundbyte of “you get what you pay for” is the problem. One system (either at the charged piece rate OR the charged total cost) is apples and the other system (again, either at the charged piece rate OR the charged total cost) is oranges. Is the EPO prices tied to a total-user fee environment that must match a pre-guestimated budget? @80: When you make that comparision, the EPO is much more expensive, and therefore it is hardly surprising that it does a much better job searching and examining. One gets that for which one pays. This isn’t really true. Anyone who does prosecution internationally (like me) knows this is nowhere near being true. The EPO does a better job at search. That is about it. How many ideas filed by individuals fail the patent process? Is this 90%? What is the dropout rate, that is, how many people withdraw from the patent process? Patricia, its a high figure. You need a super prosecution agent. I found Les Virany on Linked In and he is quite astute, a former examiner and strong in electronics. Then I use Studebaker and Brackett in Tyson’s Corner Virginia. I have differing reasons to use one or the other, cost is certainly one reason. SB is rated very, very high as compared to all the other law firms. Les is inexpensive. SB is expensive. Only you know how much to bear in terms of pain, cost, time…the primal decision is still like a lottery…. You never know, maybe you have a fidget hit. We are small scale embedded systems product designers, husband and wife, who have licensed an innovative (but not patentable) electronic instrumentation product to a manufacturer. We have been in production for 7 years. It’s not a mainstream consumer product and will never make us rich, but it’s popular in our small market and has put a squeeze on some larger companies who also make devices in this product class. Royalties and maintaining the design (electronics products can’t stay the same) provide us a very modest middle class income. It’s a lot of work, but we get the satisfaction of creating a number of US jobs in electronics manufacturing. Another manufacturer has threatened our licensee with a claim of patent infringement over our intent to add bluetooth communications capabilities to this product. I’ve read their patent, granted in 2016, and it doesn’t mention bluetooth in the claims, only a few times in the body, and I don’t see anything that could remotely be construed to do what they are saying the patent does. In addition, several of the claims exactly describe products that have been on the market for 20+ years prior to the patent being applied for- that is to say, these prior products would infringe every element of several claims. Even a cursory search would have turned up these products- this patent should never have been granted with all these claims intact. It doesn’t give confidence in the system. I’m not sure if this is patent trolling or just bullying, but our licensee is unwilling to fight them. They agree with our view of the patent, but claim the cost to fight this larger company would exceed the value of our product. We don’t make enough from this to fight them either, but this is our sole income and represents 20 years of development. We’re not seeing where the patent system provides good options for very small scale developers like us, who are unjustly targeted by larger business who want to use threats of patent litigation to squash competition. In our case our advantage is that we designed a much easier to use device- but not being able to include bluetooth to communicate with phones, tablets, and computers would greatly limit the appeal of our product in the future. We’re not sure how to deal with being sued for infringement of a claim that, so far as we can tell, doesn’t actually exist. We would win, but at our age can’t afford to risk being bankrupted by winning.